The Diner’s Dilemma: Something New or The Old Familiar? 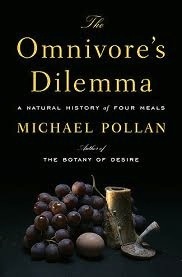 Michael Pollan’s great 2006 book The Omnivore’s Dilemma asks the basic question: What should we have for dinner? The St. Louis diner’s dilemma is: Where should we go for dinner? Often the choice is between a place that’s new or a place that has been in your restaurant rotation for some time. Actually, there are two kinds of new places. First, places that have only been open for a few days/weeks/months. Second, restaurants that have been open for a while that you’ve never visited. They are new to you, like that unfamiliar shortstop for the Padres who makes a great play and when you look him up online you find he’s been in the bigs for 7 years. With the place that’s just recently opened you take a huge risk. The kitchen crew and the wait staff may not yet have their acts together. 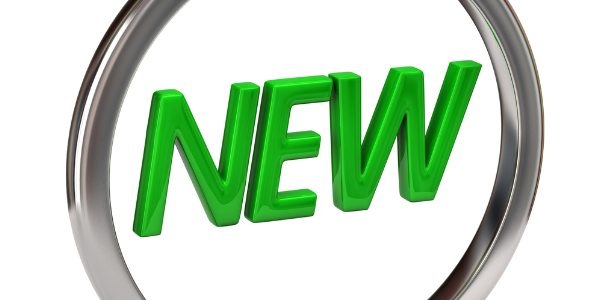 Employee turnover can be an issue in those early days. Even if the chef and/or owner has a good reputation, a new joint can be like that rookie outfielder just up from Memphis—3 for 4 with a home run one day, 0 for 4 with three strikeouts and an error the next. The big upsides of patronizing a spanking new restaurant are: you’re supporting a new business at the time it most needs your support and you may discover a true gem whose virtues you can boast about to both online and IRL friends. Not unlike buying a Randal Grichuk jersey at the Cardinals team store last summer. With a place that’s a few years old but new to you, you can sift through online reviews and talk to chums to get an idea about what are “must try” dishes and which ones have been less than successful. A restaurant that has been open for a couple of years or more must be doing something right and making enough people happy to keep rolling, even if it’s not always getting attention from the foodie media. Comparable to that manager whose career record is right about .500 even though he’s never taken a team to the postseason. The familiar place that you’ve visited numerous times over the years has much to offer. You know your way around the menu, you may be familiar with many staff members, you know which table or booth you prefer. But, like at Holiday Inn (supposedly), there are no surprises. (Okay, maybe the manager will surprise you with a free sample of a new dessert or wine, etc.) Generally, you know how things are going to go. Kind of like Yadier Molina—you marvel at his defensive prowess, his hitting and (lately) his improved base running, but you are no longer surprised by his abilities. A downside of the familiar restaurant is that it, like Yadi, it can be costly. (You should note that, in some cases, the newer spots—especially those that have spent big on design and fixtures—can also be pricey.) 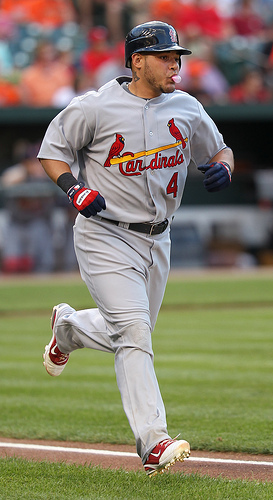 Even at $15 million a year for Yadi, you know that you are getting value for your dollar. Similarly, a long-running old familiar place can require you to pony up some bucks. But you know it’s worth it. Would you rather drop $70 for a dinner for two that’s just a bloop single or $110 for a dinner for two that’s a tape-measure homerun? I encourage older folks to try something new when you get the chance. Enjoy the familiar places that consistently make you happy. But take a chance every now and then on something different. It’s like when the Cardinals play at an American League ballpark and use the designated hitter—you may or may not like it, but at least you’ve had a change of pace. At the same time, I encourage younger diners to patronize restaurants that have proved their mettle and delivered year after year. Like Yadi or Miguel Cabrera or Andrew McCutchen, these places have achieved a level of consistency that assures you are unlikely to be disappointed. They may cost a bit more. The other patrons may be older than you. 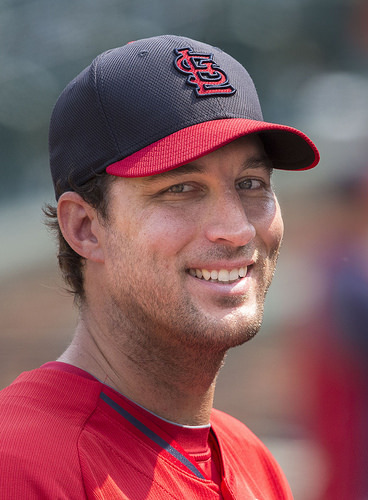 But, like when Adam Wainwright starts for the Cardinals, you will be witnessing greatness.